We have a computer at our home for everyone use, actually it has been configured with Windows Media Center and connected to XBox console, we all are using it for our entertainment purpose and we want to configure our computer to automaticall logon to Windows 7 to futher speed up the Windows 7 boot process. 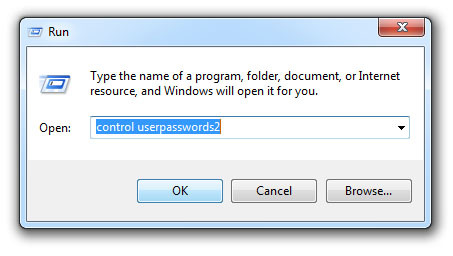 This Windows 7 Automatic Login tip is especially usefull for computers that are in use by only one user as it would not even be a security risk or any privacy issue. Once you click on OK button, you will see the following screen.. Note: If that doesnt work, Type in netplwiz into the start menu search box, and hit enter key instead. 3) In the above new User Accounts screen that appears select the account you wish to make the primary logon. Uncheck the box that says "Users must enter a user name and password to use this computer", and then click on Apply button. 4) Here you type in your current Password and Confirm Password, and then click on OK button. 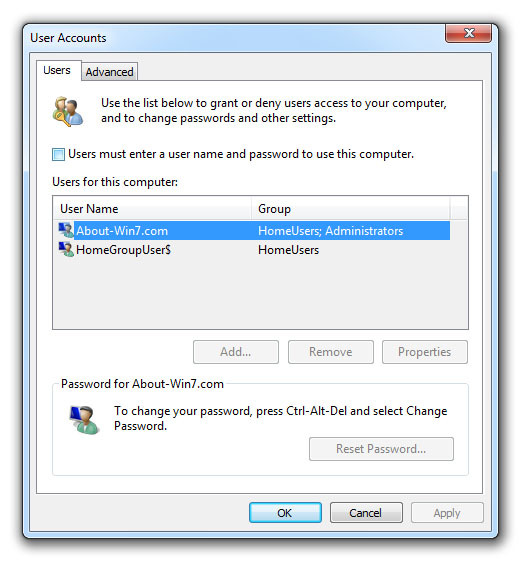 5) Click on OK button again on User Accounts screen. That's it! 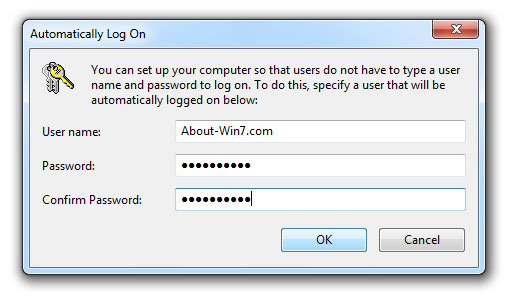 Next time when you boot your PC Windows 7 Auto Login whithout asking User name and Password from your end. 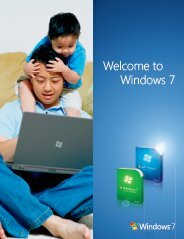 Copyright © 2010 About-Win7.com Inc. All rights reserved.